Polyvinyl chloride, or PVC, is a versatile material used for a variety of applications, from drain pipes to fencing and even inflatable boats. 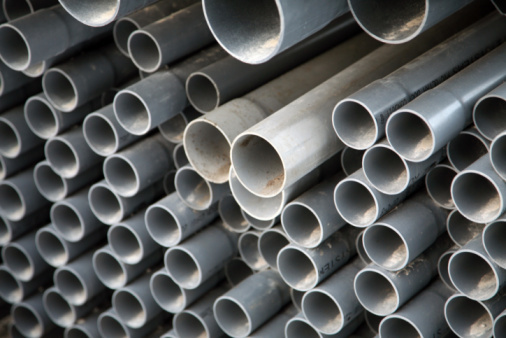 PVC pipe alone has many uses, with most falling broadly into the categories of either plumbing applications or electrical conduit applications. There are a number of differences between plumbing PVC and electrical PVC that make each unsuitable for the other's job. PVC is a versatile material used for many applications in the home. The most obvious difference between plumbing PVC and electrical PVC is the color of the material. 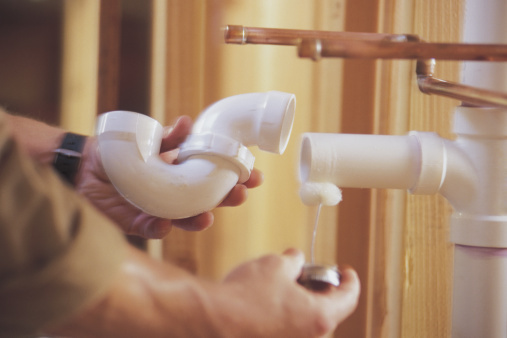 While not always the case, plumbing PVC is usually white in color. Electrical conduit is typically gray. PVC can have chemical additives added during the manufacturing process to create different colored materials, but these are the standard colors for each type of pipe. Plumbing PVC will degrade when exposed to ultraviolet light for prolonged periods of time. Plumbing PVC is thus not suitable for rooftop applications or constructions that will have it exposed to the elements, as it becomes brittle and will crack. Electrical PVC is rated for ultraviolet exposure and thus is used for outdoor waterproofing applications where electrical cable needs to be run across rooftops or up the side of a building. Electrical PVC typically has flared ends that allows for individual pipes to be easily attached to one another without the use of a coupler. 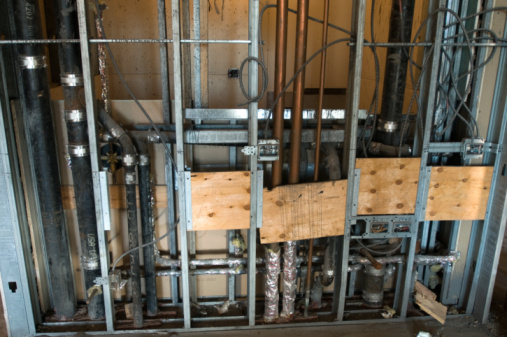 Plumbing PVC requires couplers and PVC cement to join individual pieces together. This is due in part to varying applications, as electrical PVC is not expected to withstand the same pressures that plumbing PVC is rated to handle. Electrical PVC is not intended to be exposed to high pressure, as in water lines, and is not rated for use with high-pressure air. Plumbing PVC, on the other handle, is typically rated to a high pounds-per-square-inch pressure level, indicated on the side of the pipe. This makes plumbing PVC suitable for drain, water and ventilation systems, and electrical PVC unsuitable for these applications. Conversely, plumbing PVC should not be used for electrical conduit applications as it does not handle ultraviolet radiation well, and is of reduced rigidity.